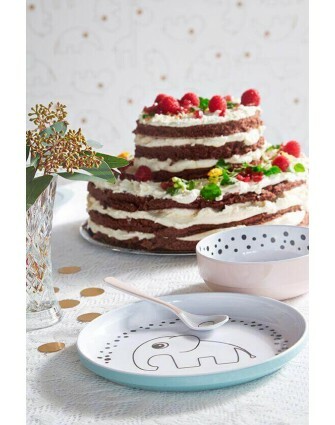 Plates – original bowls and cutlery for your baby and children | Grote Schatten has a nice range of children plates. You have a baby, toddler or infant at home, go looking for original plates, bowls and cutlery at Grote Schatten to have a cosy and delicious meal. At Grote Schatten you can find an assortment of bowls, plates and cutlery that perfectly match with your interior. 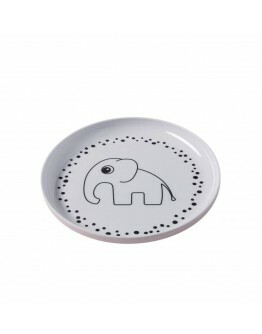 With our fun kid plates with trendy prints, eating will be a fun activity for your little one. Wondering what lies hidden under the carrots. O yes, what doe we see, it's Elphee the elephant by Done by Deer. Useful set of spoon and fork of Done by Deer. 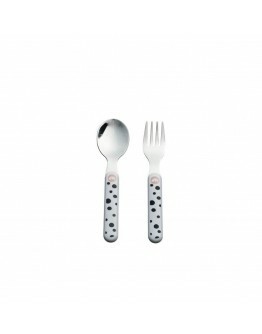 Eating becomes super fun with this beautiful cutlery filled with dots and has a salmon pink colour. Handy to be used by little fingers and ideal to learn to eat without too much spilling. Size 14 cm Material stainless steel-ABS handle Dishwasher safe - not in the microwave .. 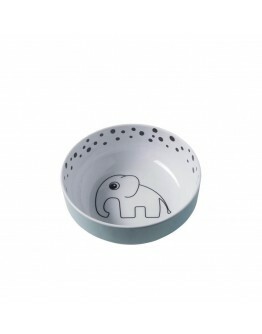 Happy Dots are dancing around Elphee the cheerful elephant who is hiding under your veggies. She is just waiting for you to eat up so she can come out and play. Perfect size for the little eaters' dinner and dishwasher safe. Size Ø 13,5 x 5 cm Material 100% melamine, no formaldehyde Dishwasher safe - don't use in microwave .. Happy Dots are dancing around Elphee the cheerful elephant who is hiding under your veggies. She is just waiting for you to eat up so she can come out and play. Perfect size for the little eaters' dinner and dishwasher safe. Size Ø 20,5 cm Material 100% melamine, no formaldehyde Dishwasher safe - don't use in microwave ..